Spending a few dollars on scratchies at the local news agency can be fun, but unfortunately for us these retail outlets aren’t always open. However, scratch cards are always available online, meaning you can access and array of uniquely themed titles to scratch and win real money instantly – 24 hours a day, seven days a week. The best part is our favourite online software developers including Microgaming and Net Entertainment offer their own take on these titles, so you know the scratch cards are of high quality. We take a look at some of the best Internet scratchies games and how to play them. Note: This page is intended for our international readers only. For Australians, it is purely informational in nature, because online gambling is illegal in the country as of September 2017 following the introduction of the Interactive Gambling Amendment Bill 2016. There’s no need to locate a coin to scratch the card, nor settle for your fingernail when you can’t, as online you just need the click of a mouse. You do need a real money casino account in order to play these titles and win, but there’s a few sites which are secure and offer a wide selection of scratch cards. Follow our links to register an account in just a few minutes and you can utilise the number of international payment methods, including Visa and MasterCard, to fund your casino account. From here you can get playing the wide selection of scratch cards available and win real money. We take a look at the best scratch cards online, as per their software provider. All scratch cards follow the same basic format – you click the card to scratch and reveal the prizes or matching symbols to win cash. However, they are available in an array of different themes with Microgaming offering over 30 titles each with a unique theme. If you’re a fan of drinking and winning money, you’ll love this scratch card with the theme based on a German Beer Fest. 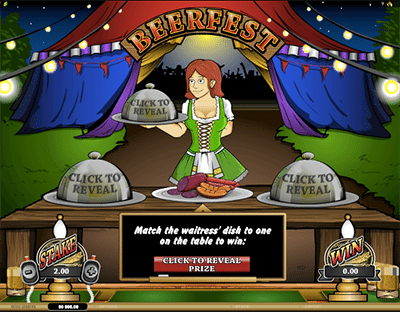 Players can pick who will win drinking competitions, scratch to match symbols, or pick who will win table dancing competitions with up to 5000x your stake available to win. The minimum bet is $0.5 and the maximum is $10 per card. This title also offers a 95.05% RTP. 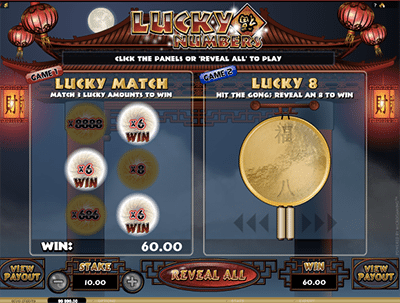 Featuring an oriental theme, this scratch card offers two chances of winning on every card purchased, with a scratch card requiring you to match symbols and another with a gong symbol which is scratched to improve your winnings. There’s a minimum bet of $0.5 and a maximum bet of $10, and up to 8888x your stake available to win. The RTP for this title is 96.57%. We’ve all played the Whack a Mole arcade game and this is exactly what this scratch card is based on. Featuring a minimum bet of $0.5 and a maximum bet of $10, players can win up to 10,000x their stake. Additionally, this title has a 96.30% RTP. NetEnt offer fewer scratch card titles than Microgaming and their RTP percentages are somewhat lower. Ace makes you feel like you are playing a legitimate scratch card from a retail outlet thanks to the coin and layout of the card. You can click ‘Scratch All’ if you don’t want to scratch manually – this will speed up gameplay too – and change the coin to a button or clip to scratch with. The minimum and maximum bet is set at $3 with up to $75,000 available to win. Unfortunately, NetEnt’s scratch cards feature a low RTP, with this title featuring 87.5%. 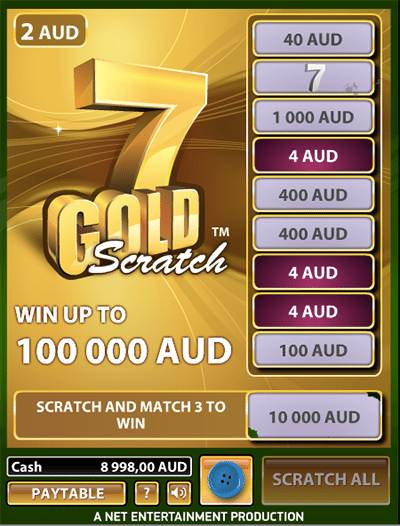 7 Gold Scratch is similar to Ace in terms of the layout and appearing quite similar to a real scratch card. The minimum and maximum bet is set at $2 with up to $100,000 eligible to be won. However, the game has a theoretical RTP of 86%. Play’n GO only offer a small range of scratch cards, but these offer high RTP percentages. Those who are a fan of pirates will enjoy this scratch card, with three lines available to scratch, requiring three matching symbols in one line to win. There’s a minimum bet of $0.5, and a maximum bet of $5 per card, with up to 1000x your stake available. The RTP for this scratch card is 93%. Hole in one offers a similar gameplay to Scratch A’Hoy, but features a golf theme instead. You need to match three of the symbols and you can win up to 5000x your stake. The minimum bet is $0.5 and the maximum bet is $5, with the RTP set at 93%.